Angola, one of the last countries where polio was endemic, has been free of the crippling disease for more than a year now, thanks in part to the efforts of Standard Bank de Angola. 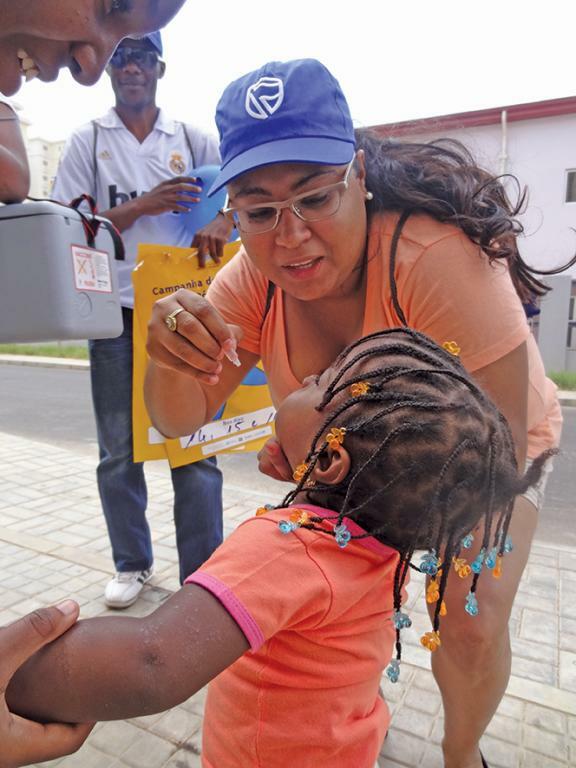 Our employees participated in a national vaccination campaign against polio, vaccinating more than 250 children under the age of five in Kilamba and Zango, outside the capital Luanda. It’s a massive challenge ensuring all children are immunized against the disease due to the sprawling shantytowns in and around the capital. However, with the private sector helping to fund efforts by the World Health Organisation (WHO) and the United Nations Children’s Fund, the world is moving closer to the final goal of global eradication of the disease. Angola still has to work hard to finally eradicate polio, so Standard Bank de Angola is proud to be part of this national programme, which is supported by the WHO. We are helping people in terms of health and also education. We know that our help will make all the difference in the lives of the children of Angola.